Travelling has always been on the cards for us, it has always been discussed that one day we will travel the world. Since being together, we have travelled across the UK for each other and travelled from city to city together. We have taken international holidays together for our birthdays and anniversaries but now, since the big milestone of living together, it has been discussed that in the near future we will take our next first steps of conquering the world together. Due to time, budget and how much we love travelling by train, we thought inter-railing though Europe would be a good start! 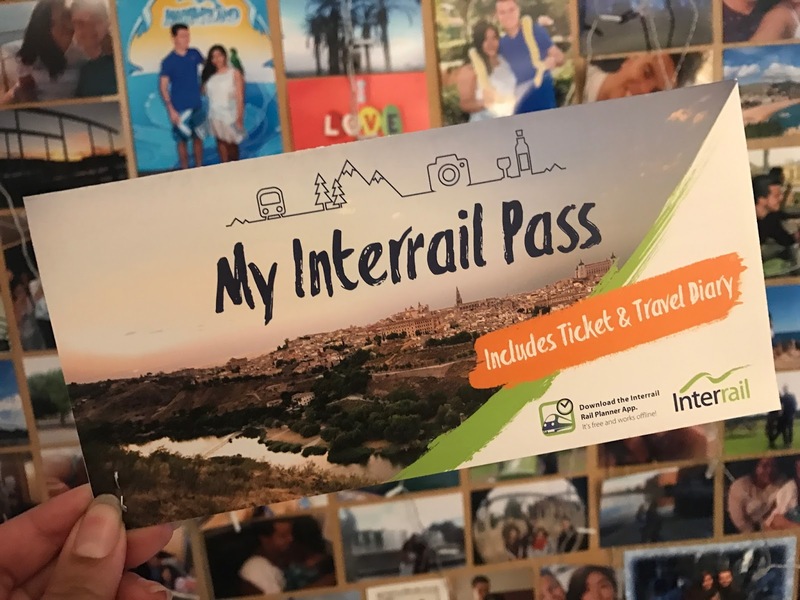 When we found this inter-rail website, we looked at all the given options of passes. We found that travelling everyday for 1 month would make more sense but of course it was the most expensive, and with trying to be realistic money wise and thinking about our time carefully, travelling 15 days in 1 month became more of a consideration. It was obviously cheaper and if we could fit all our chosen countries into the time frame, why not right? We knew this would cause restrictions with worrying about wasting travelling days and not having the freedom to move from one country to another if we wanted to. See our issue here? So there are 30 countries in Europe you can travel by train and our first step of planning the route was each of us going through the list of countries alone, and picking the ultimate ones we wanted to go to, then to go back to each other and compare the list. The ones we both put on the list, of course we'll go to, no questions asked. Simple right? Then the others we didn't both have, we discussed and compromised. To be fair, we only both had two countries each we didn't put and we took one from each side and added them to our list. Here, we thought we were on a roll and knew exactly where we were going, but boy were we naive. Yes we were aiming to go to most places but we weren't being realistic with how long it would take and how many days/hours we'd actually be on one train to another to get to the places we want to be. So we knew we had to cut down and be more realistic with what we can handle. When it came to finalising our choice of pass, it was time to make it all this official and purchase our pass. Along with your pass, you will also receive a free travel pack; including protective wallet, inter-rail map and pass guide. We ended up choosing to do the 10 day travel in 31 days, second class, which cost £567 for both of us, including £12 for protection of loss and theft and £7 postage charge. Once purchased, be prepared to fill in your details, as you will have to input your personal details, including the date you are going to start travelling and your passport/national ID number. Of course depending on where you are, the website can be done in pounds or euros, the travel pack comes in several languages and postage charge and delivery time, also depends on which country you're in. The Accommodation, The Reservations, The Packing etc. I'm SO excited to vicariously experience this trip through you guys!! Your method of selecting which countries you want to go to is a really good one, I'm sure you're both really excited about the destinations you've picked out! Can't wait for the next post in this series! Wow. It sounds like a fantastic way to see so many places! Is it wheelchair accessible? This all sounds so exciting! Not going to lie I'm a bit jealous haha! I look forward to reading all the posts about this that follow :)! This sounds like an amazing adventure and I cannot wait to read more! I would love love love to do this! This sounds like so much fun! Interrailing is something I'd love to do at some point, to explore more of Europe!